Pipes burst, hoses leak, plumbing overflows. When these things happen your insurance policy may provide coverage for the loss and clean up in order to restore your property to its pre-loss condition. The issue that often arises after water damage affects a property is that your insurance company may attempt to place the cause of damage into one of the many excluded causes for water damage contained in the typical Florida homeowners’ insurance policy. I have seen insurance carriers repeatedly deny coverage for water damage claims based on the exclusion for “repeated seepage over time.” Insurance companies often take this position without any evidence that the water damage occurred steadily over time. What is worse, the attempt to place your water claim into an exclusion can lead to a delay in the adjustment of your loss. Without insurance benefits to repair and restore your property to its pre-loss condition the damage may worsen or lead to mold infestation. To make matters worse, most policies also exclude subsequent damage if caused by an originally excluded peril. 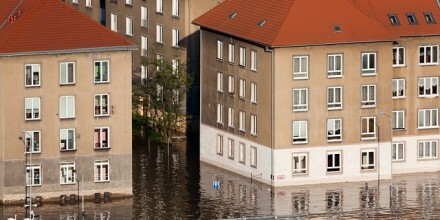 If water damage has affected your property don’t delay. Contact an experienced property damage attorney immediately and take advantage of the rights you paid for in your insurance policy.